Giulio Bargellini was born in Pieve di Cento in 1932, where he still lives with his family. Mixing creativity, curiosity and experimentation, Bargellini also brought in the commercial field his interest in culture. In 19997 OVA sponsored the book La civiltà della luce- The civilization of light (by Giorgio Maioli, on a study carried out by Aldo Montini) which traces the history of electrical civilization in Italy. 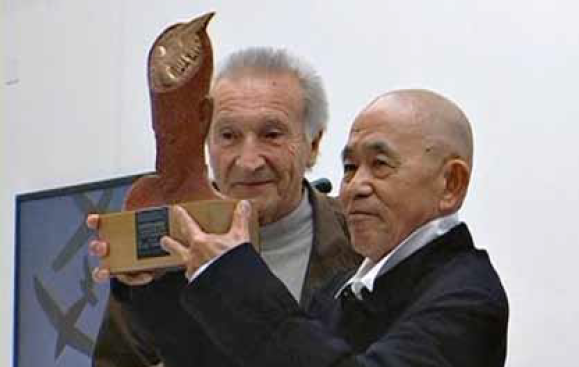 In the same year, the G. Bargellini & C. S.P.A also received the Key Award, an important award in advertising, for the “The marathon runner” commercial, aired on national television. 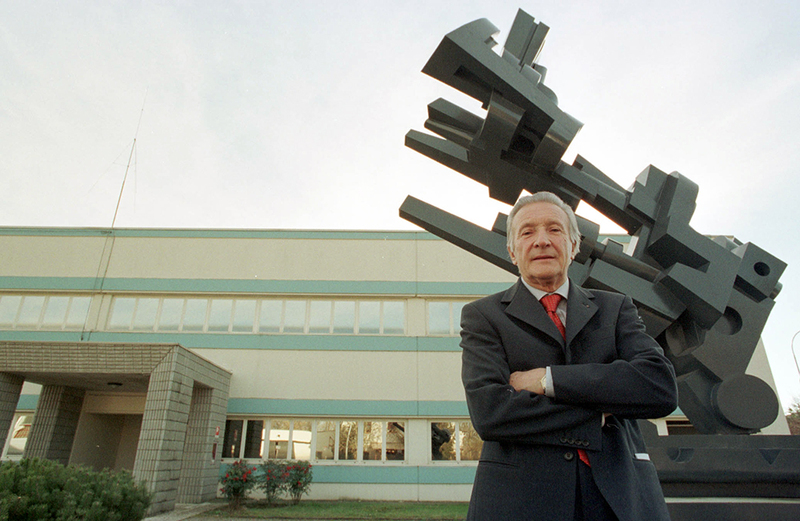 In 1997, as well in the following year, the company was awarded the Gran Premio IMQ (Italian quality mark institute) for its contribution to products and market safety. His determination to always give a unique quality to his works earned him several awards, both as a businessman and as a patron of culture. 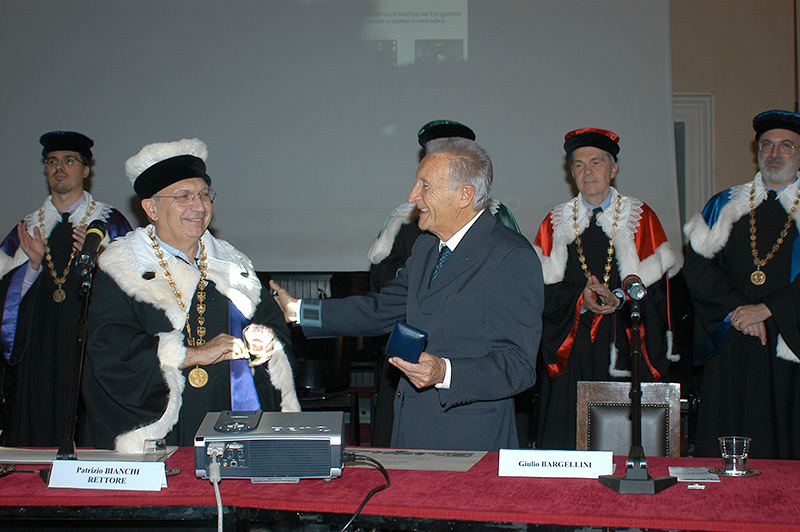 Among these awards, in 1999 Bargellini won the first prize in the field “Quality of life” in the Businessman of the year competition (which was established on the initiative of Ernest& Young in the United States and sponsored by the Italian Stock Exchange); next he received the honorary degree of Fine Arts in Bologna and, in 2008, he was awarded a medal and a diploma as “businessman, philanthropist and patron of the arts” by the University of Ferrara. 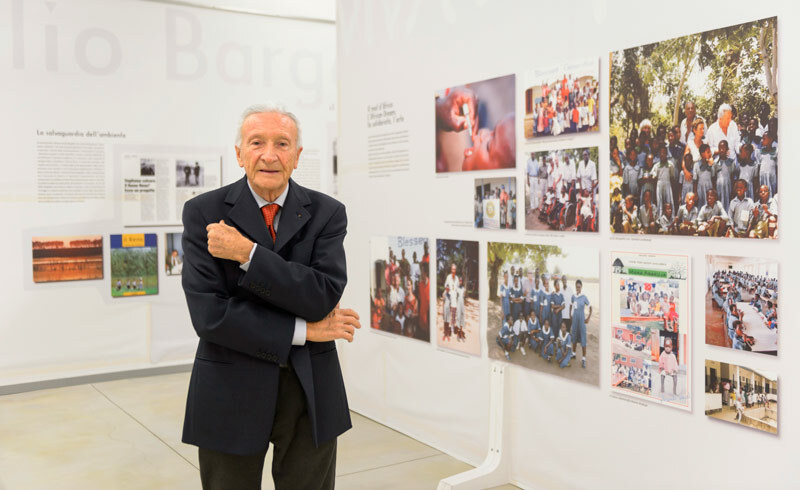 The sensibility to some social problems has led Giulio Bargellini to intervene in many different contests, supporting environmental, sporting and humanitarian projects. The attention to the problems of the territory inspired him in the Eighties the creation of the Association Reno, river, environment, involving researches, university professors and the Regional board of the ministry of cultural heritage and environmental conservation. Through meetings and scientific studies, exhibitions and educational activities, the association aims to raise public awareness and institutions on the need to preserve and reclaim the Reno river, in the name of control and respect for the environment. 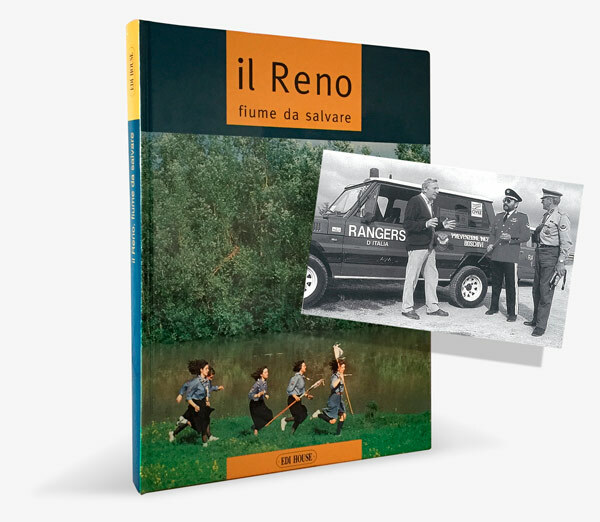 The results of the undertaken studies were collected in an important publication, strongly supported by Giulio Bargellini, entitled Reno, a river to be saved, in the awareness that the serious problems of the river should become a priority to be tackled by the entire community. 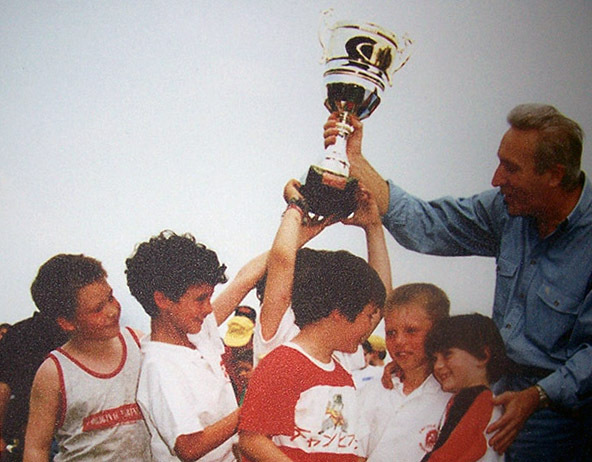 Among the association patronized by Bargellini to start youth sporting activities, the Ova Rugby is certainly the most successful one, thank to the moral and material support of the company, that has been constant since the beginning. The organizational activity is carried out only by volunteers who, in addition to real sport and with a team that gets excellent results in both national and international competitions, are committed in promoting sport values since childhood. 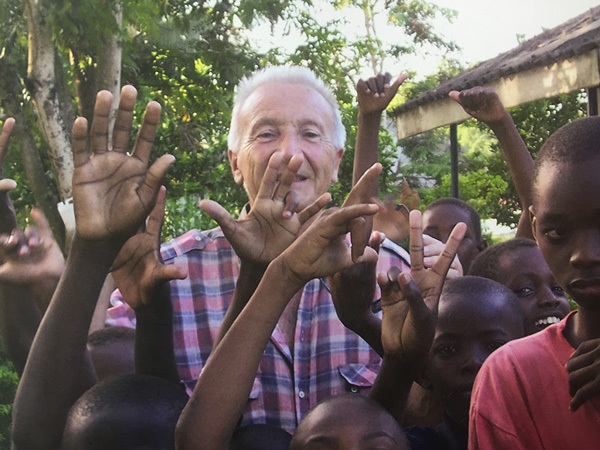 There are several initiatives in the humanitarian field, but a special bound with Africa marks from many years Bargellini’s experience, who in that continent has joined the combination of business and culture (with African Dream village and the collection of sculptures expressly made there) with actions to support children, weak and sick people. Two books – The other part of us (in collaboration with Rotary International) and Viva l’Africa- Kenya that I would- document years of experiences and strong feelings, such as the containers of medicines personally brought to Kenya, the provision of cutting-edge hearing aid for deaf and the solidarity in child sponsorship, where Bargellini has always involved some other businessmen and the community of Pieve di Cento. Collecting and friendship with the artists. Firm believer of the combination of business and culture, Giulio Bargellini began to collect art in the Sixties and was always fascinated by the conversations he held with artists, whose creativity and depth of thought he truly admires. 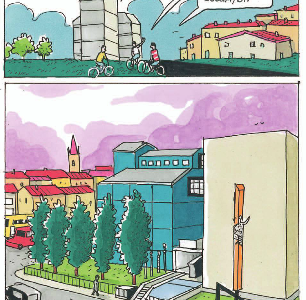 Furthermore, he has always paid particular attention to contemporary art. 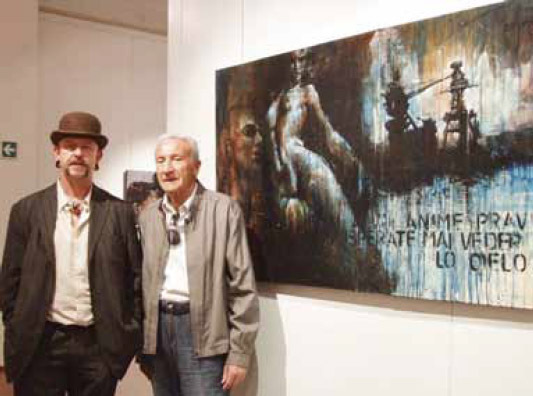 Patron and friend of many authors, sponsor of exposition projects and several publications under the brand OVA, he gave a qualified support to both established and young emerging masters. His profile as a free and eclectic collector, motivated by curiosity, meetings and opportunities is well reflected in his collection, that nowadays is so large that can be only partially exposed in the museum. The historic core of his first collection was originally displayed in his villa with garden which was designed and set up in a way that allow him to share with artists and fans what for him was the thrilling experience of art. As the collection was getting bigger and new programs of art publications were emerging, in Bargellini’s mind took shape the idea of creating the first entirely private museum in Italy. This idea was later translated into an impressive building of industrial archeology, purposely renovated and not far from the heart of Pieve di Cento. Opened in 2000 and further extended later, the ‘900 Art Museum of Italian generations G. Bargellini (which it has now become The Magi ‘900 Museum of Excellencies) is somehow a dynamic expansion of a project for collecting. It is a museum of international nature conceived as a work in progress, with highly structured spaces and activities, where the permanent collection is supported by temporary exhibitions and other initiatives, many of which still arise from the direct relationship of Bargellini with the artists, relationship that he always considers very important. 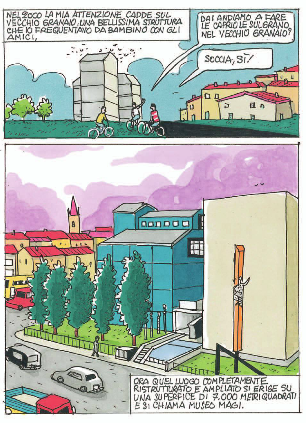 The opportunity to learn about the long and intense biography of the MAGI Museum founder is offered to us in a new and funny way by the recent publication of a comic, built as a real comic novel, which Giulio Bargellini wanted to dedicate to his grandchildren, so that “they know and remember”. 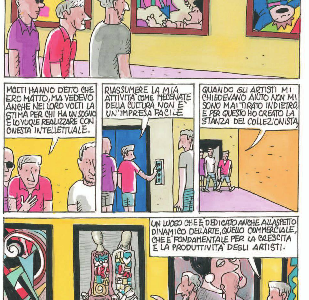 The language of comics fascinates Giulio Bargellini since childhood, when reading Mandrake the magician, The Phantom, Fulmine and Tim Tyler’s Luck was the only safety valve for the imagination of kids in those days. 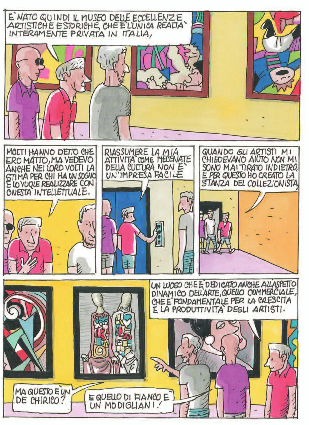 That’s why, thinking about the magic of those illustrated books, at age eighty Bargellini decided to tell his story in an unusual biography, in which the words are few and selected, but combined with images can be transformed in a successful synthesis of a lifetime. 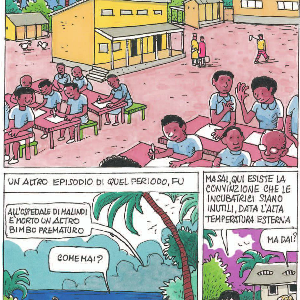 The book Giulio Bargellini. 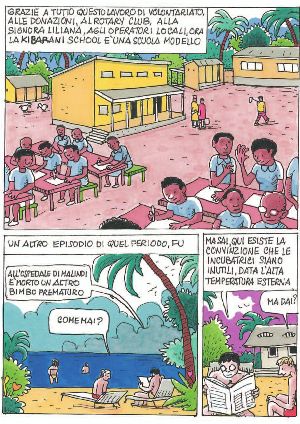 A life in comics is illustrated by Fabrizio Fabbri and it is published by LI.PE from San Giovanni in Persiceto.